When you feel beautiful, it shows. There is a spring in your step and and laugh in your voice, and a woman who feels good about herself does good. She’s a better friend, a better mom, a better person, so why not always strive to feel great about yourself? Suave Professionals® has a simple belief, and that is that you can have a better world through beauty, and I totally agree. 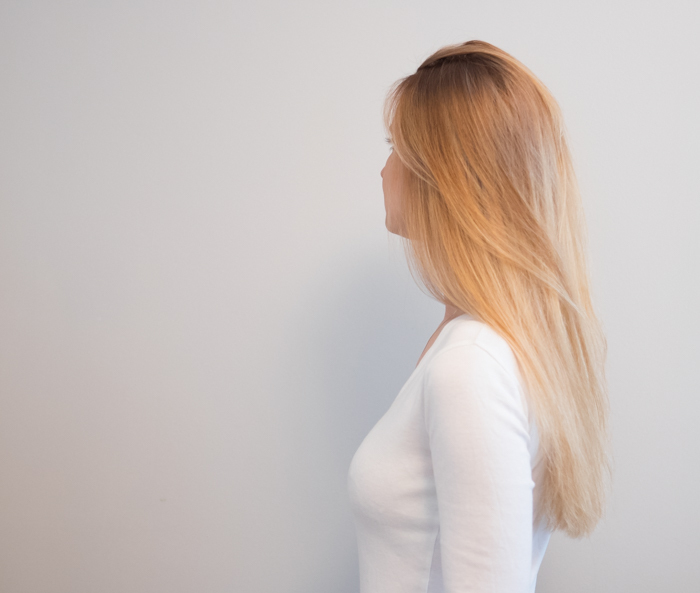 While what defines beauty may vary for all of us, we can each find our own version of beautiful, and it makes us feel even more confident and empowered when we can achieve it ourselves at home, in just a few easy steps. 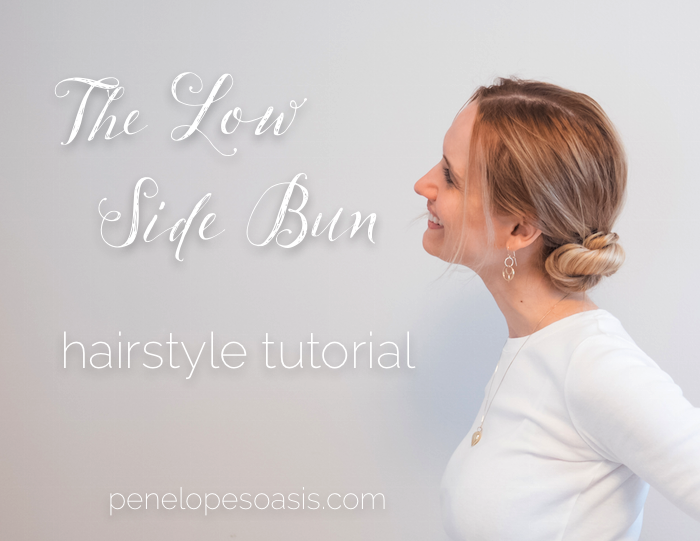 I love simple hairstyles that are versatile, and one of my favorites is the Low Side Bun Hairstyle, because it’s adorable and bohemian for every day casual, yet elegant and sophisticated for an evening event. And it’s very easy to do! Wash and condition hair with Suave Professionals Sea Mineral Infusion Moisturizing Body Shampoo and Conditioner, then dry hair. Apply Suave Professionals Sea Mineral Infusion Texturizing Sea Salt Spray to hair to add texture and a bit of volume. Optional: Tease hair at the roots of the crown for extra volume on top. 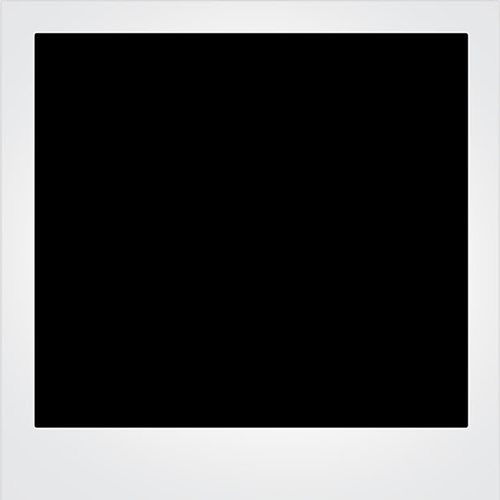 Pull hair loosely to the side and tie it into a low side ponytail. 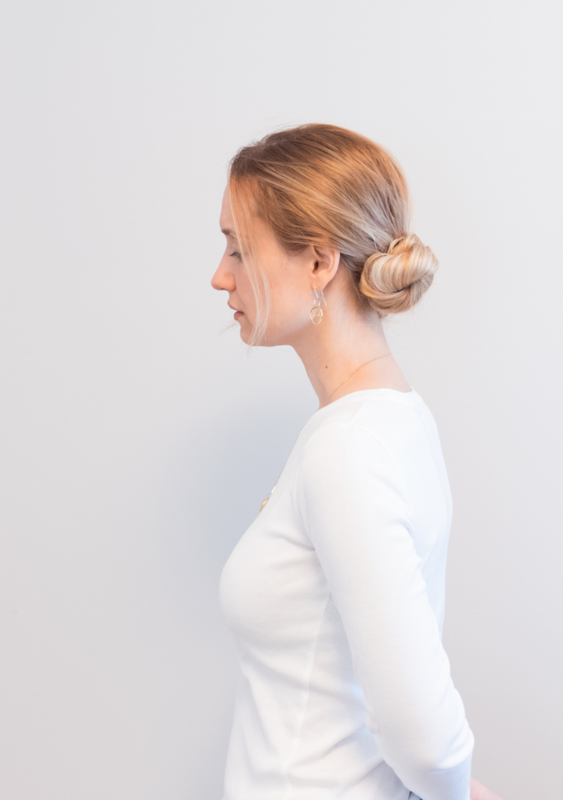 Twist the ponytail and then tie it around until a loose bun, tucking the ends in and fastening the side bun with bobby pins. That’s it! 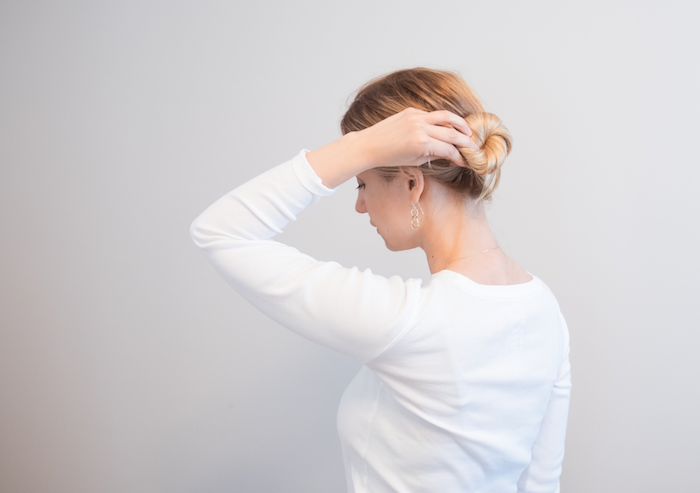 Anyone can do this very easy, simple and elegant hairstyle, and Suave Professional’s Texturizing Sea Salt Spray is very versatile for many different hairstyles. 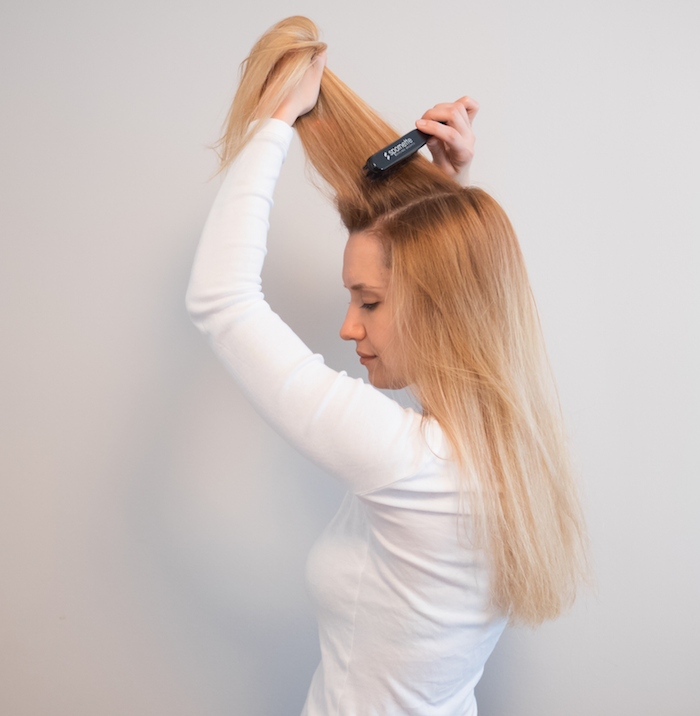 It can add some oomph and volume to your hair when you simply towel dry and and wear it in loose, pretty waves, or add some texture when you need it to enhance a favorite hairstyle. Following the Sea Mineral Infusion Body Shampoo and Conditioner, which provides the moisture my seriously dry, rather heavily processed hair needs, I can easily create a variety of beautiful hairstyles and have shinier, bouncier hair. 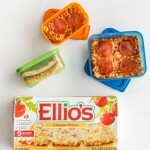 For more information on the products, visit here. 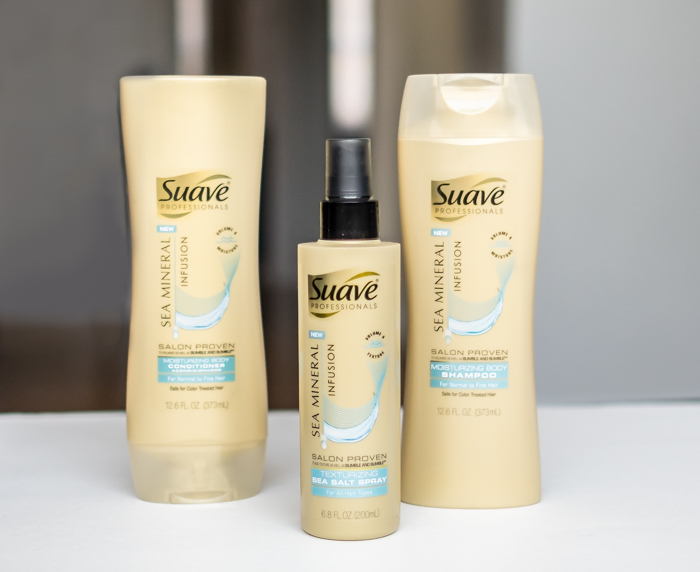 Suave Professionals Sea Mineral Infusion products are available at Walgreens and Walmart.